How recent the sales are. The velocity of sales, in either direction. When those sales occur (the ranking is updated hourly). It’s also logarithmic, like the Richter scale. Books with a low sales ranking (the ideal direction) don’t sell proportionally more as they drop, their sales increase at a rate that greatly exceeds their previous rates the closer they get to #1. Further, some claim that a book needs a sustained sales trend to get into the top ranks before the algorithm adjusts to require fewer sales to keep it there. I suppose this is a safeguard to weed out the temporary effects from book bombs, KDP Select promos and advertising programs. 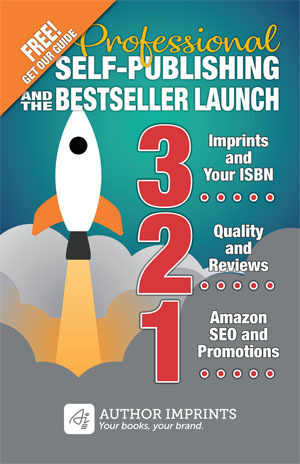 Here is a six month look at my book, Successful eBook Publishing. Each one of the blue dots is the sales rank of my book on a specific date (you can see that I clicked on February 10 and my rank was 84,353). Can you use sales rank to guess at sales of other books? Sort of. There used to be a tool called KDPCalculator but the website is no longer active–besides, I didn't find it to be accurate in my use (perhaps why it is no longer accessible?). I think the best way to predict book sales is to look at hard numbers over a period of time.